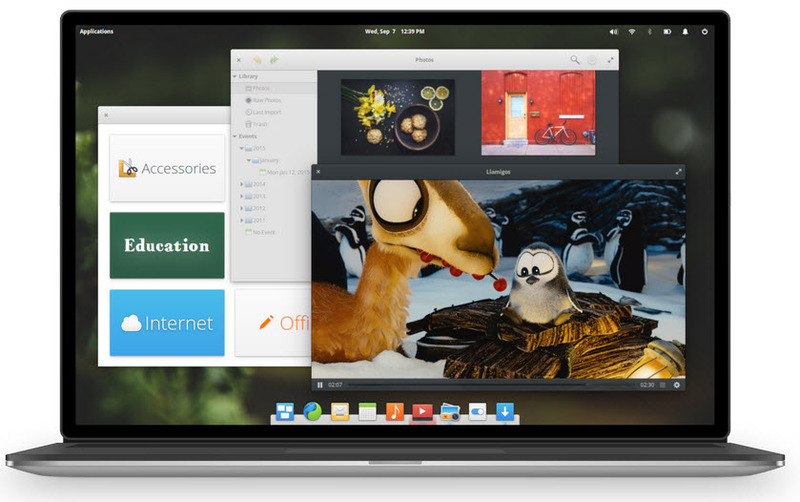 Elementary OS is free and open source Ubuntu-based Linux distribution with in build Pantheon desktop environment. 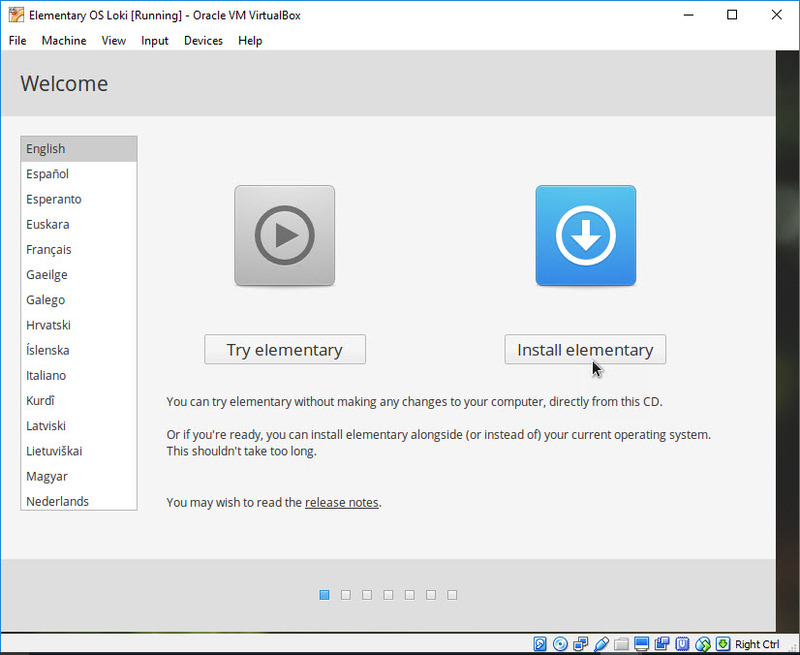 Elementary OS 0.4 Loki is based on Ubuntu 16.04 LTS and it comes with Linux Kernel 4.4. This is one of the best replacement for Windows and MacOS. Here we used below software to test this. 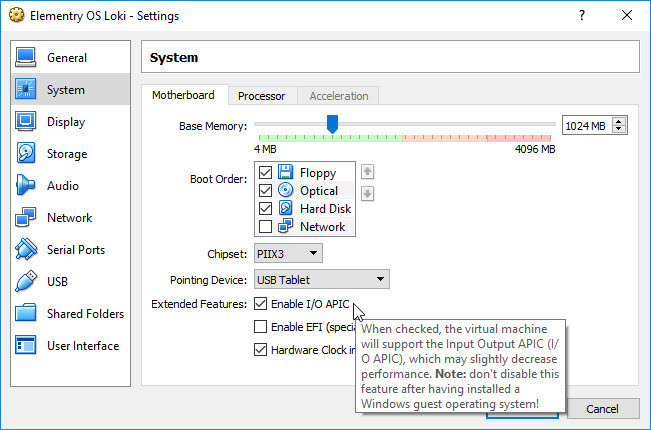 Note: For running 64-bit guests, you need to enable hardware virtualization in the BIOS on your host system. Boot to your bios settings and find the virtualization or virtualization technology or hardware virtualization or VT-x or AMD-V option and Enable it. 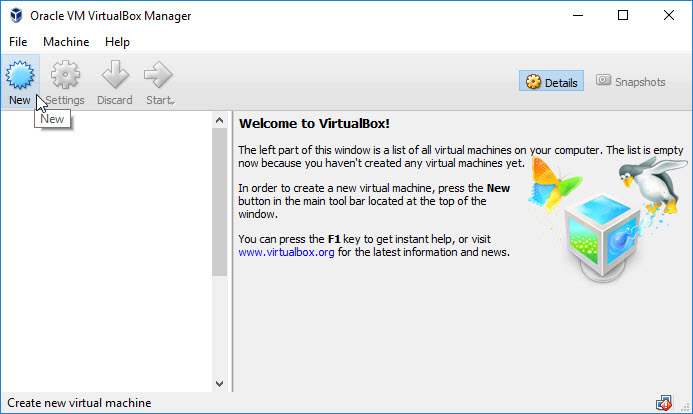 Open Oracle VM VirtualBox and click New to create a new virtual machine in your OS. 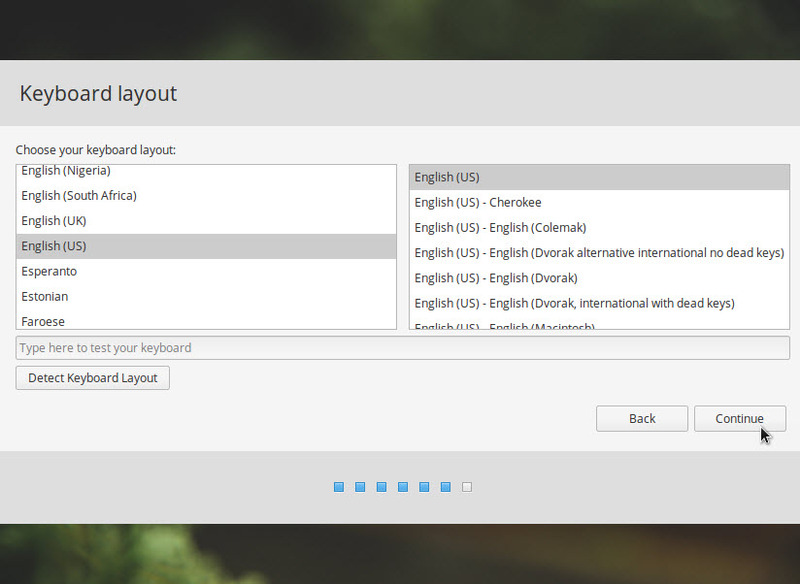 Name your Elementary OS, select Linux as Type from the dropdown and select Ubuntu(64bit) as version and click Next button. 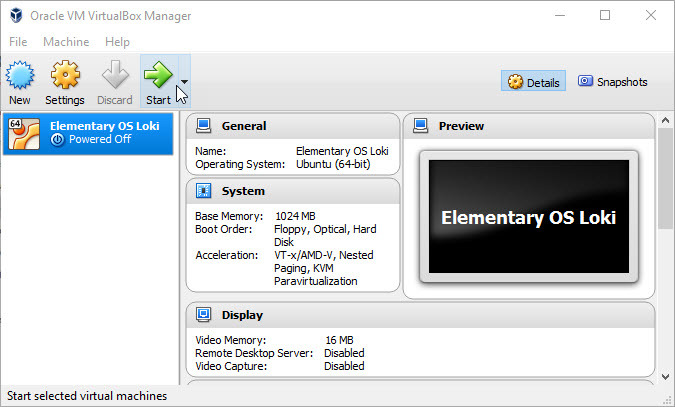 Recommended system requirements for elementary os is 1 GB of RAM. 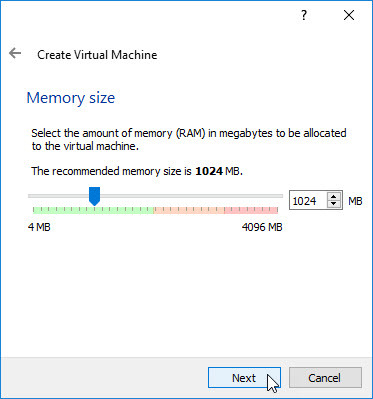 So set 1024 or more than 1024MB as RAM based on your system memory and click Next button. 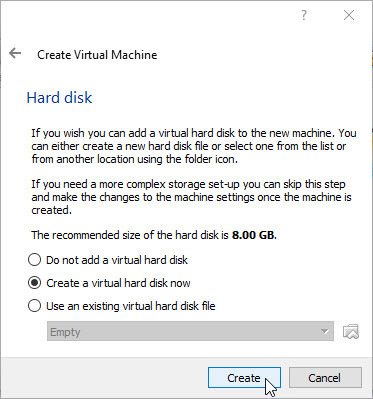 Select Create a virtual hard drive now option and click Create button. 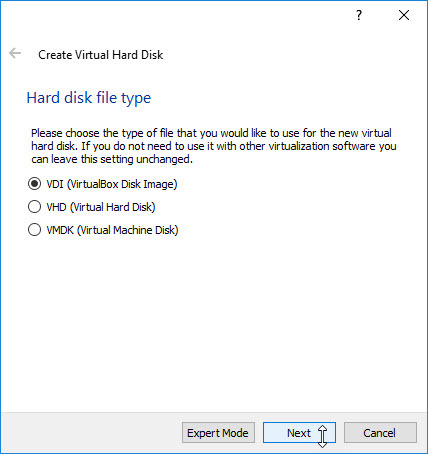 Select VDI (VirtualBox Disk Image) and click Next button. 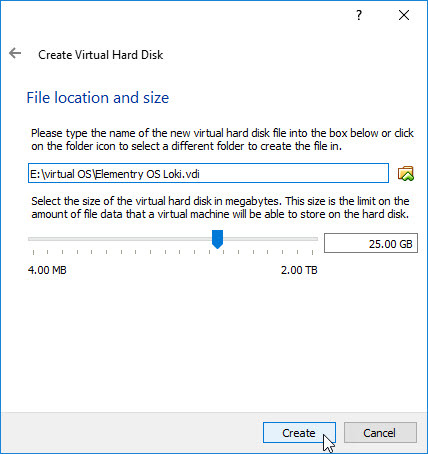 Type any name and select location of new virtual hard drive by clicking the folder icon. And select the size. 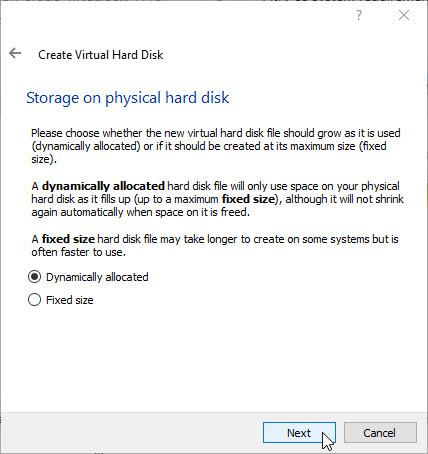 Recommended size is a minimum of 15 GB of disk space. And then click create button. 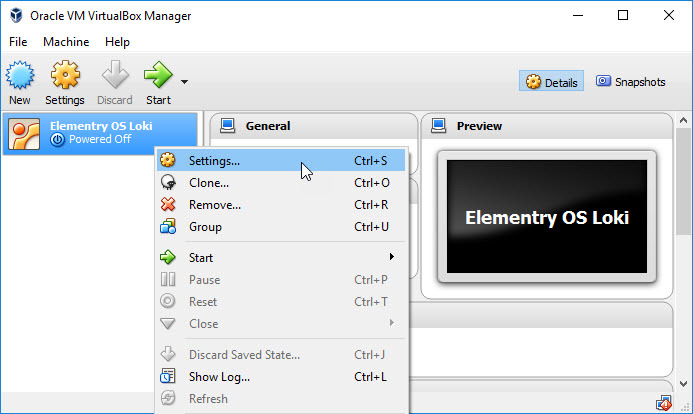 Right click on Elementary OS Loki and select Settings. Select Storage from left sidebar menu and select Empty under Controller:IDE. Then click the CD icon under CD/DVD Drive and select choose a virtual CD/DVD disk file. 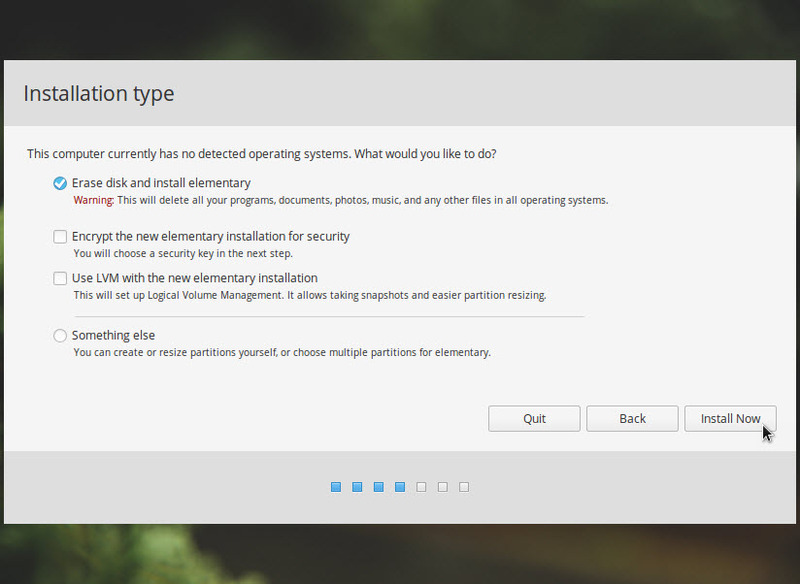 And browse the downloaded elementary OS ISO file that is elementaryos-0.4-stable-amd64.20160909.iso file. Then go to System tab from left sidebar menu and under motherboard tab enable the Input/Output APIC. 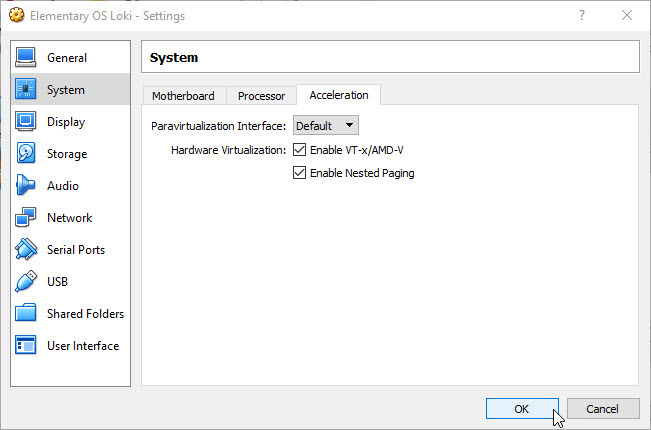 Now go to Acceleration tab and check/enable the hardware virtualization features VT-x/AMD-V and Nested paging of your CPU and click Ok button. 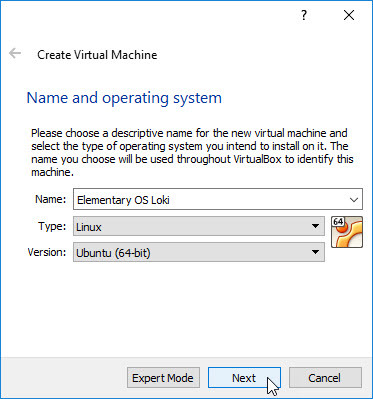 Select the Elementary OS Loki and click the Start button. 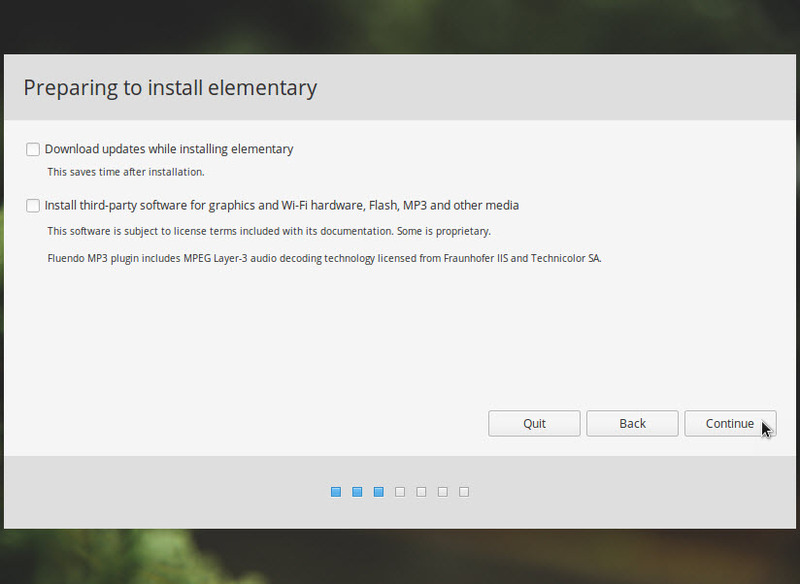 Click the Install Elementary button to start the installation process. Then click the Install Now button after clicking the continue. 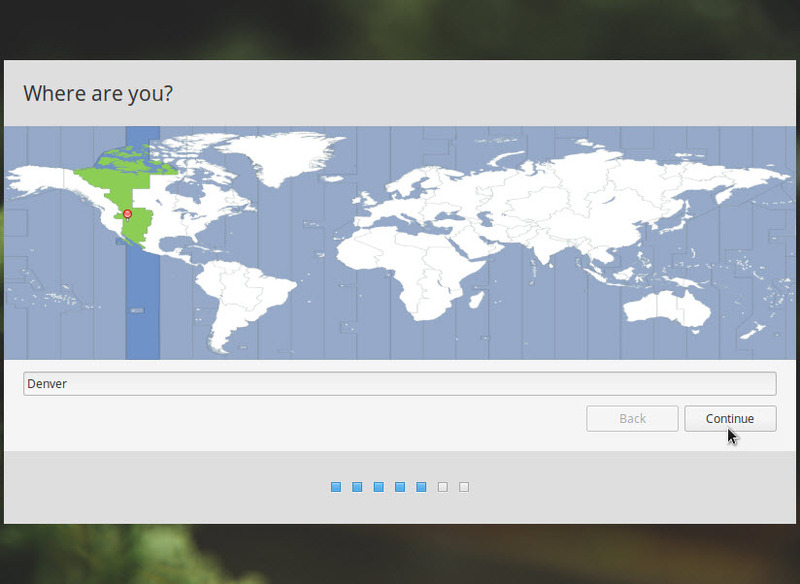 Select your time and click continue. Select your keyboard layout and click the continue button. 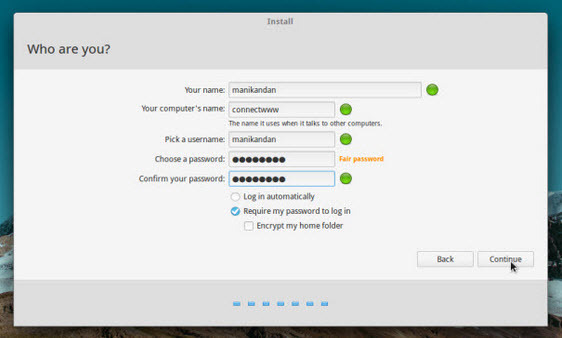 Type your name, computer name, username and a password and click continue. And wait for the installation. that’s it.